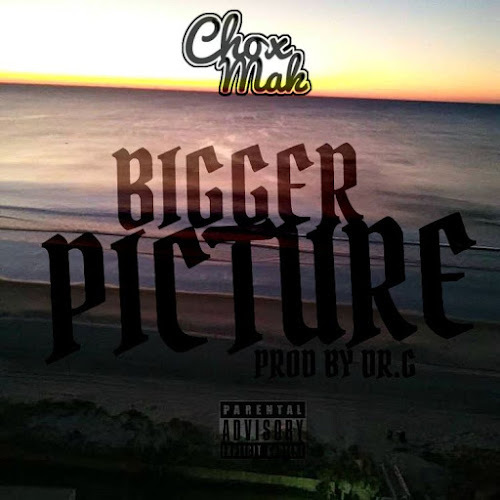 Chox Mak - "Bigger Picture"
Chox-Mak has been on a hiatus for some time now. Today that all changes he's back and back with a vengeance. Bigger Picture is nothing less than vintage Chox. It has crazy punchlines and metaphors on an old school sampled beat. Dr. G provides everything Chox needs to tell you he may have taken a break but hes not going anywhere anytime soon. Sit back relax and try to catch the "bars" because honestly there is too many to count.